Tempe Family Dental, Dr Wayne F. LeSueur and team believe that before you can have a great smile or functioning teeth you need a good foundation. This is why our practice is so oral hygiene oriented. Our Tempe Dentist recommends having your teeth examined and professionally cleaned at least twice a year. During the examination a few different exams take place. Our team will check for oral cancer, caries (cavities), infections, periodontal bacteria, and shade of your teeth. Plaque is a soft, sticky film that builds up on your teeth and contains mil-lions of bacteria. The bacteria in plaque cause tooth decay and gum dis-ease if they are not removed regularly through brushing and flossing. Everyone that eats and breathes will get plaque build up on their teeth. It is completely normal and typically straightforward to remove at home. If there are areas that we miss when we brush or floss the plaque will turn into calculus. Calculus or tarter is hardened or calcified plaque. Calculus cannot be removed by brushing your teeth and can only be cleaned by our gentle hygienist. When plaque turns into calculus this can cause our gums to be inflamed. If the inflammation continues without being resolved the bacteria will cause our bone that support our teeth to recede and we get bone loss. When caught early it can be stopped with very little consequence. But when left untreated you will noticed several things including (maybe one item or all); bleeding gums, bad breath, discolored teeth, mobile teeth, and space between teeth. These symptoms will continue to worsen until your teeth get so loose or painful that they will need to be removed. Fluoride helps us in the war going on in our mouth. Fluoride will harden our teeth and help decrease the risk for cavities. Fluoride works well throughout our entire lives and is not only for our kids. Fluoride will help make our dental work last longer including: bridges, crowns, fillings, and root canals. Fluoride is safe. Many studies have been completed on the side effects of fluoride and if we stay within recommended doses there are practically zero side affects. We do believe in other methods and would be glad to cover them with you if you would like another way to decrease the risk of cavities. MI Paste also helps our teeth become more hard and decreases the risk of cavities which some of our patients who seek other options beside fluoride have found much success with. Another method to reduce your risk for cavities are sealants. Sealants are little protective coverings that protect the grooves of our teeth. Many of us have had sealants when we were younger but as we age many dentists and patients believe that sealants are no longer needed. This is true in some patients. But for others that have deep grooves and high risk of cavities they will greatly benefit from sealants. Some patients may need fluoride, MI paste, sealants, etc to help combat caries while other patients may not need any of these options. As you become familiar with our dentist, you together will come up with a strategy to combat cavities and make your teeth and gums as strong as possible. Brush your teeth twice a day, using a soft-bristled toothbrush and fluoride toothpaste to remove plaque from tooth surfaces and protect your teeth from decay. Clean between teeth daily (preferably before bedtime) with floss or an interdental cleaner to remove plaque from the places where your toothbrush canÂ’t reach. 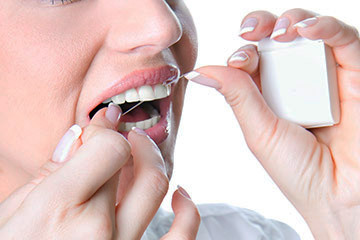 Flossing is essential in preventing gum disease. Since plaque is a sticky substance, you must brush and floss to help remove it. Mouth rinses alone will not provide enough plaque removal to keep your teeth and gums healthy. Eat a balanced diet and limit between-meal snacks, which can pro-vide more sugar for the bacteria in plaque to convert into decay-causing acids. 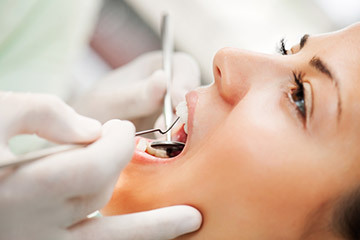 Visit your dentist at least once a year for professional cleanings and oral exams. We promise to help you keep your teeth for your lifetime. 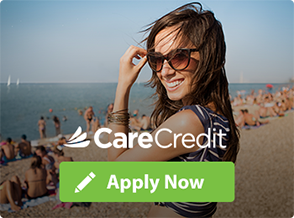 We have many advanced techniques and such gentle hygienists that make your teeth cleaning and dental experience more comfortable than ever before. If you are looking for a Tempe dentist, call us today at 480-838-3103. We cannot wait to meet you.